The German Professor Erik Spiekermann has a great quote on branding he says you are ‘You are what you are seen to be’. Essentially how the consumer sees the brand, high quality, long lasting, innovative, fun, and how they perceive the products is intertwined. This is equally true for companies that may not perceive that they have brands, like the myriad of OEM manufacturers in Taiwan, for them the company is the brand. The reputation that the company and the ability to persuade potential clients of brand value (quality, technical experience, professionalism etc.) is the reason that one supplier is chosen over another at a similar cost. For consumer brands it is brand perception that makes brand repositioning so hard, especially so for low end brands seeking to shift up to higher margin or niche positions. Recently some South Korean brands have successfully been able to alter brand perception, through marketing, industrial design, and investment in research. For the sake of comparison here are three brand value video pieces that in my opinion are less effective simply because the companies involved have placed less marketing emphasis on who they are. 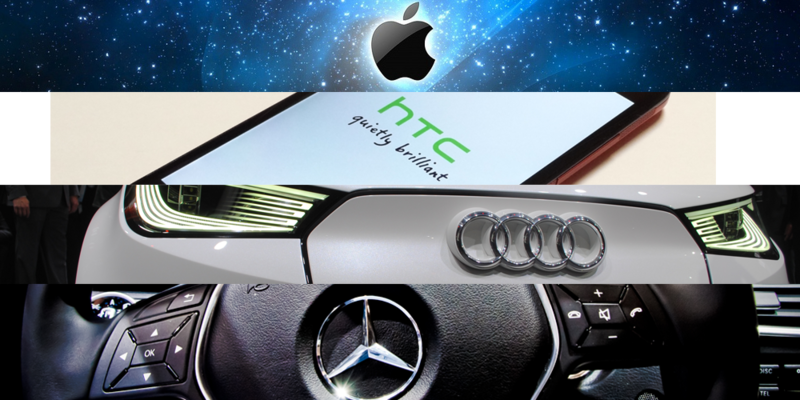 In the case of HTC, Blackberry, and Audi most of us could talk about the products, but many would struggle to define what the brand means, and how it ties into those products. If you were ask your potential customers to define your brand what do you this they would say? If your company was to define itself using a 60 second commercial what would it look like? Does your company have strong or weak brand values? These are good questions that we all need to ask ourselves. Perhaps it’s time to spend a little while and consider how we ‘…are seen to be’ and how we can use this value perception as a marketing/sales tool.